Red Dead Redemption 2 is undoubtedly one of the biggest, if not the biggest, videogame success stories of 2018. It currently sits at a Metacritic score on 97, and is that site's best-reviewed game of 2018. It has created an immersive world that's easy to get lost in - and that's even outside the 800 trillion hours of story-driven gameplay (we might be inflating that number by a trillion or two). Part of that immersion comes from the game's incredible soundtrack, which itself has won critical praise and took home the Best Score/Music Award at the 2018 Game Awards. The first game (or second, depending on how pedantic you want to be about it) was acclaimed for its music, as well, but this new title takes it even further, moving further away from its "spaghetti western" roots and more towards a more Americana vibe. Like the first game, it also combines some great original music with some great existing tunes. Actually, both soundtracks are awesome and you should listen to each of them. Preferably after or as you read this. So, here are six facts you may or may not have known about this amazing musical collection. Ok, this one is a tad bit of a cheat - we're equating buying the game to buying the soundtrack. Which really isn't fair - if this were the type of situation where we'd be worried about being fair. Sorry to all you Drake fans who take these kinds of things really seriously. 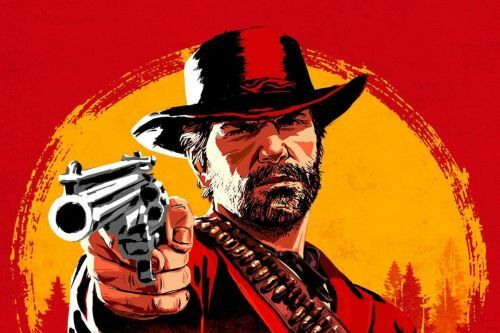 That being said, Red Dead Redemption 2 - the game - sold 17 million units during its first week of release. That's an insane amount, and everyone who has played it has listened to the soundtrack. Well, except for deaf people. And people without working speakers. And people who... look, you get the idea.